Our History | Lee, Lee & Puckitt Associates Inc. 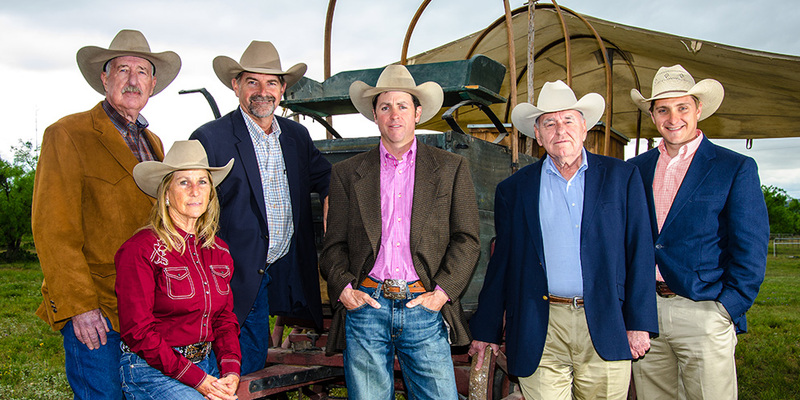 Ancestors of Lee, Lee & Puckitt Associates, Inc.'s senior partners arrived in West Texas via horsedrawn wagons and settled on the land that, more than 100 years later, the ranch real estate business' partners continue to operate. Land was in their lineage, the Texas soil in their blood, so it made sense to found a company that makes land a part of other families' heritages. Loyalty to Texas and a resolve to serve its citizens has been the company's backbone the past 50 years of its existence. Lee, Lee & Puckitt Associates, Inc. originated in Bronte and operated there from 1962 to 1976, at which time its San Angelo headquarters were constructed. The company has operated in San Angelo since 1977 with a steadfast mission of providing experience, knowledge, and ethics in the ranch real estate industry. In the early days of the firm's existence, a $1 million ranch sale was a remarkable accomplishment that usually involved thousands of acres. Today, $1 million will buy less than 1,000 acres. In contrast, in the firm's early days, a month's pay typically would secure an acre of land. That same job today can purchase 1 to 5 acres per month, a strong indicator that land prices are more reasonable now than they used to be. The business' founders and key individuals in its early days include Martin Lee, who has been with Lee, Lee, & Puckitt Associates, Inc. since 1962; Tom Lee, who became part of the firm in 1973; and Lee Puckitt, who joined the team in 1987. The men- along with Lee Hortenstine, Kevin Reed, and associates Elaine Lee and Lane Puckitt- have a combined real estate experience of more than 100 years. The sales force has served and currently serves customers from the U.S., Canada, Mexico, and regularly communicates with clients from throughout the world. The company has transacted at least 1.5 million acres of land acquisitions. The Internet has allowed the firm to reach the entire world, and has thereby been the most significant advancement Lee, Lee & Puckitt has experienced in its history of business. Giving back is Lee, Lee & Puckitt Associates, Inc.'s primary goal. The company has a long history of service to the community, whether as volunteers for myriad charitable organizations, churches or ranch industry organizations and civically. The firm loves San Angelo, its churches, and the nation, and will help in any way it can to ensure that each is successful and free. It also cherishes the relationships it has established in its many years in the ranch real estate industry.